As this blog has hopefully demonstrated by now, Richard Price’s body of work is pretty impressively extensive. He’s not a prolific novelist (when The Whites hits shelves on Tuesday it’ll be only the ninth novel he’s put out since he became a published author in 1974), but he’s kept busy between books by working on a wide variety of films and, to a lesser extent, TV shows. So far this blog has focused on his major works: Complete novels, feature films (along with a few notable shorts) and TV series. But as you’d expect, he’s also produced or contributed to an array of other projects which were not given their own individual posts here, for various reasons: Some were too small to merit extensive discussion, some were never made widely available, and some never officially acknowledged Price’s involvement. Before this blog ended I wanted to put together a roundup of such minor projects, and that’s what you’ll find below, presented chronologically. This is presumably an incomplete list, especially in terms of the short pieces Price has had printed in newspapers and magazines, but it represents pretty much everything I’ve come across over the course of my work on Priced Out. 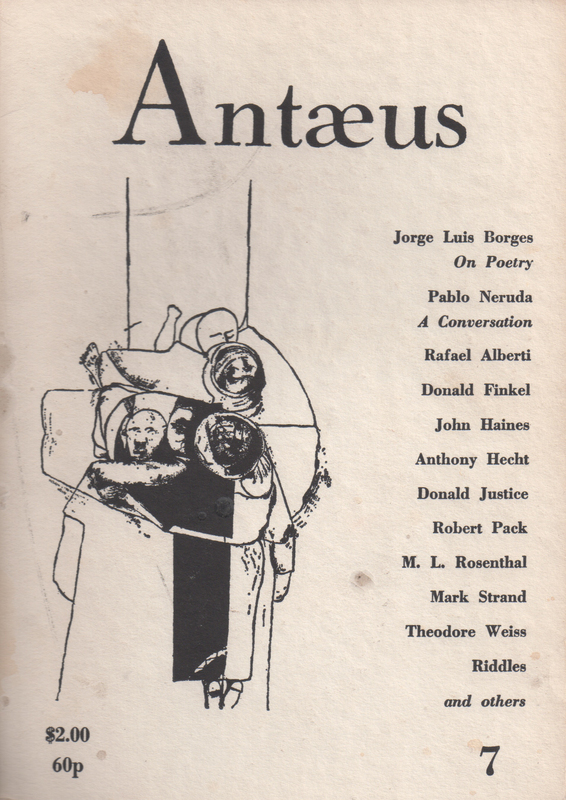 “Big Playground” (short story, 1972) – This short story about Bronx teenagers in the ’60s originated in one of Price’s Columbia writing classes, was published in the Autumn, 1972 issue of the literary magazine Antaeus, and was eventually expanded into Price’s debut novel The Wanderers. As far as I can tell, it is the only short fiction Price has ever released. “Aim for the Throat” (article, 1976) – In this op-ed piece from the April 26, 1976 issue of The Village Voice, Price discusses how television influenced his writing style, and says that writers now need to imbue their work with greater urgency in order to compete with TV for their audience’s attention. “Born to Ronette” (article, 1977) – This profile of Ronettes singer Ronnie Spector first appeared in the July 1977 issue of Crawdaddy magazine and was later included in the collection Very Seventies: A Cultural History of the 1970s, from the Pages of Crawdaddy. “The Fonzie of Literature” (article, 1981) – In this amusing memoir piece from The New York Times Book Review, Price reflects on how his Bronx upbringing informed his identity and his reputation as a writer. Provides good context for his earlier work. Camelot Years (proposed TV series, early 1980s) – A television series Price helped develop for NBC producer Don Ohlmeyer, about young Philadelphians growing up in the Kennedy era. It wasn’t picked up. Wingo (screenplay, ca. 1983) – This was the first screenplay Price ever wrote and is apparently about a mailman who wins the lottery. It was never produced, but it made the rounds in Hollywood and impressed people enough to land Price some paid gigs. Not easy to find (I just placed an order on the only copy I’ve seen on sale anywhere), but there seems to be a library-use-only copy at Michigan State University, of all places. 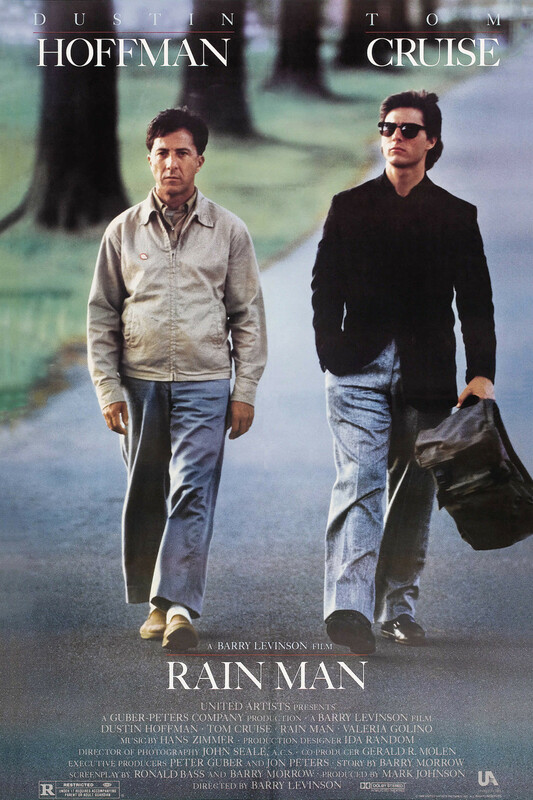 Rain Man (feature film, 1988) – Dustin Hoffman brought Price on to do rewrite work on this renowned Barry Levinson movie about an ambitious yuppie (Tom Cruise) who discovers he has a long-lost autistic brother (Hoffman). As Price describes it, the experience turned into “one of those you-can’t-fire-me-I-quit situations” and soured his relationship with Hoffman, who had previously been on board to play the lead in Sea of Love. Price didn’t receive any official credit, and I don’t know if any of his contributions were retained in the final version of the film. “Hassan’s Choices: Life in the Woods” (documentary, ca. 1993) – After the release of Clockers, Nightline offered Price the opportunity to help produce a two-part documentary about Jersey City’s Curries Woods housing projects, where Price had done much of the research for the novel. You can watch the first four minutes here, but I’ve only been able to find the full program at the Vanderbilt Television News Archive, which charges pretty hefty fees for retrieval if you’re not a student there. Naked in New York (feature film, 1993) – The Obligatory Richard Price Cameo isn’t limited to movies Price wrote! He also shows up briefly as himself in this Woody Allen-esque comedy executive produced by Price collaborator Martin Scorsese. The Paper (feature film, 1994) – Price cameos as himself again in this Ron Howard comedy about the inner workings of a New York Post-style tabloid. 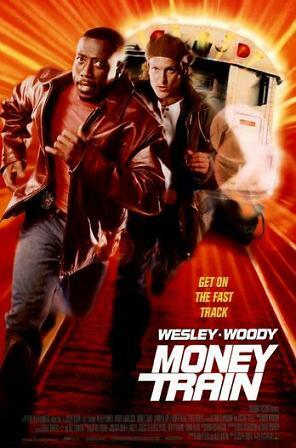 Money Train (feature film, 1995) – I haven’t done individual blog posts on movies for which Price did uncredited “script doctor” work, partly because I don’t have a complete inventory of them and partly because I can’t know how extensive his contributions were. But, for the record, he was apparently involved with this Wesley Snipes/Woody Harrelson heist flick. Basquiat (feature film, 1996) – I don’t know that Price worked directly on the screenplay for this biopic of artist Jean-Michel Basquiat, but he’s cited as having done “consulting” on it. He and Basquiat apparently moved in the same circles of New York’s 1980s arts scene. Freedomland (play, ca. 2000) – Before adapting his 1998 novel Freedomland into a 2006 Samuel L. Jackson film, Price turned it into a play, which he staged at Princeton at the invitation of Toni Morrison. As far as I can tell, no copies of the play or recordings of the performances are publicly available. “Word on the Street” (article, 2001) – In my post on 2003’s Samaritan, I praised Price for resisting the impulse to mine 9/11 for symbolism in his first novel released after that tragedy. However, this essay (originally published in the 11/11/01 issue of The New York Times Magazine and later collected in The Best American Essays 2002) proves that his ground-level, reportorial style may actually have been uniquely appropriate for such traumatic subject matter. Co-written with his daughter Anne Hudson-Price, “Word on the Street” presents a series of anecdotes about life in New York City immediately after the fall of the towers, and its just-the-facts approach is insightful and affecting without straining for unearned allegorical significance. 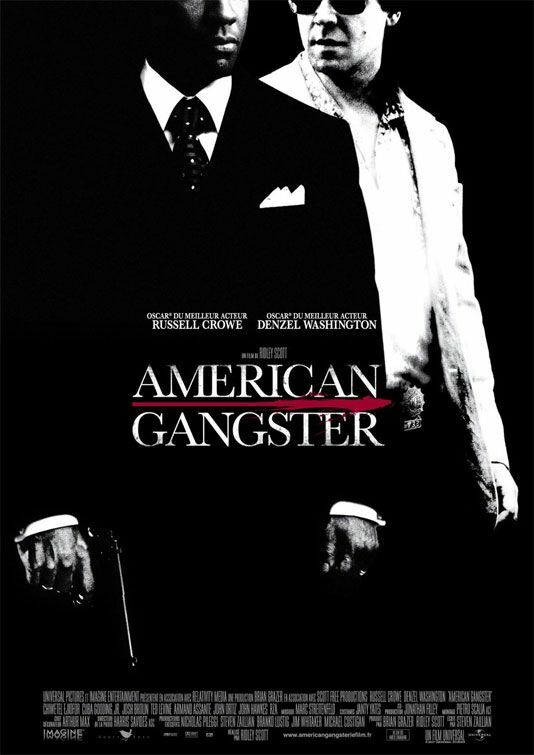 American Gangster (feature film, 2007) – In the book Tales from the Script, screenwriter Paul Schrader relates a brief anecdote about Price working on the screenplay for this biopic of Harlem mobster Frank Lucas (Denzel Washington). “Hatpin Mary” and “Bicycle Safety on Essex” (storytelling monologues, 2014) – In these two sessions from storytelling organization The Moth, Price relates a memory of his wrestling-loving grandmother (clearly an inspiration for Peter Keller’s mother in The Breaks) and an anecdote from the NYPD ride-alongs he did while researching Lush Life. Price has always shown some affinity for stand-up comedy, and these recordings may be the closest we’ll ever get to seeing him attempt the form himself. This entry was posted in Miscellaneous Posts and tagged american gangster, basquiat, fiction, film, rain man, richard price, screenwriting, the moth, theater. Bookmark the permalink.